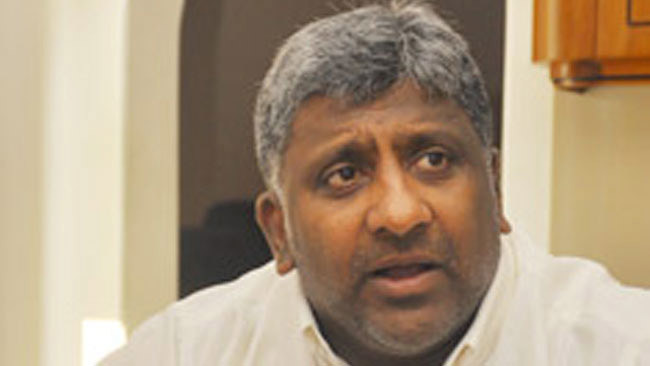 Parliamentarian Prasanna Ranatunga yesterday requested SLFP Parliamentarians holding ministerial portfolios in the government to quit their ministerial posts and join the Common Opposition to make the working masses victorious on May 1. He said they should leave their ministerial portfolios and join the Common Opposition’s May Day rally in Kirulapone , if they truly love theSri Lanka Freedom Party and the people’s forces around it. Speaking to the Daily News, Ranatunga added that these SLFP ministers should strive for the formation of a SLFP led government by appointing an SLFPer as the Prime Minister. “Some SLFP ministers in the government are shedding crocodile tears about the SLFP while enjoying all perks and privildges from the good governance government,” he said. He said that the government has deprived the rights and benefits enjoyed by the working for centuries in the country . “This government has destroyed the public service and working masses have been stranded,” he said. Ranatunga said that the SLFP Ministers in the government should also take responsibility for misleading the people. “We are organizing a May Day rally in Kirulapone against suppression of working masses by the government and any person who is against the government’s move can participate this May Day rally,”he said. He said former President Mahinda Rajapaksa is a genuine SLFPer and he will never back the government.